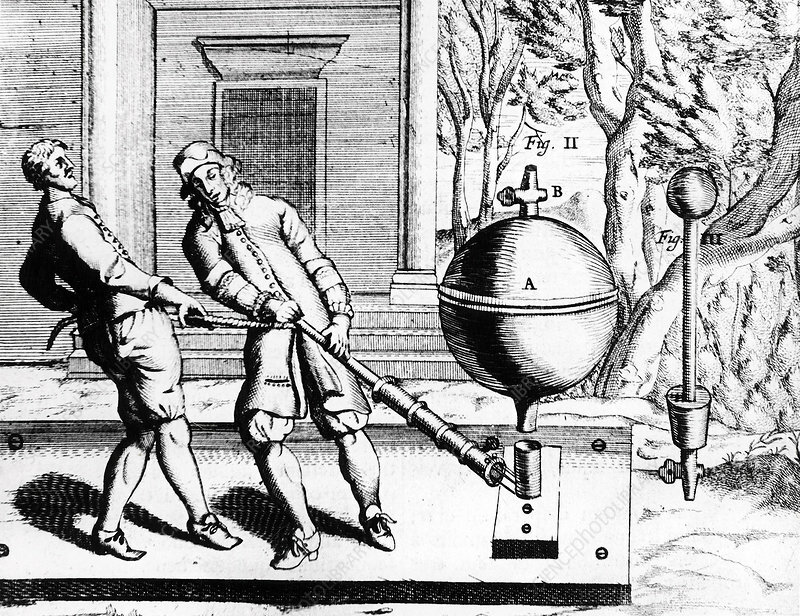 Von Guericke's second air pump (1656? ), shown here being used to exhaust two Magdeburg hemispheres. From Experimenta Nova by Otto von Guericke (Amsterdam, 1672).